Customize your T-rex M20 exactly the way you need it thanks to our large selection of accessories. Add another pair of olympic bar supports or a pair of adjustable olympic supports bar. Use its top crossmember to add another pull-up station on your Rack. Take advantage of our storage accessories by mounting on your Rack some plate storage or sing bar holder. The T-Rex M20 echoes the shape of the Rack T-rex but it differs by its three crossmembers. These additional parts ensure a high level of stabilty on the Rack during your training. The T-Rex M20 comes with a pair of olympic bar supports and one pull-up bar. 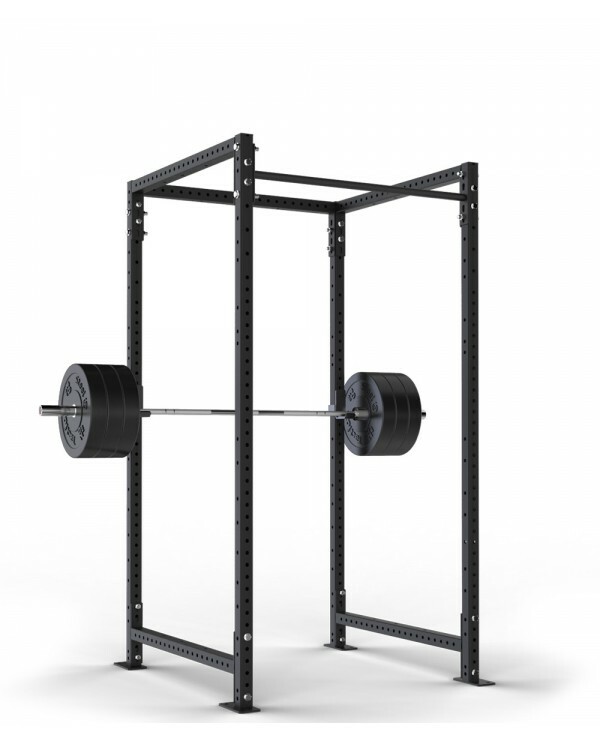 This Rack will become the focal point of your home gym ! All our Racks, Rigs and accessories are entirely made in France. We use the best materials, advanced design and manufacturing techniques to guarantee the highest level of quality.